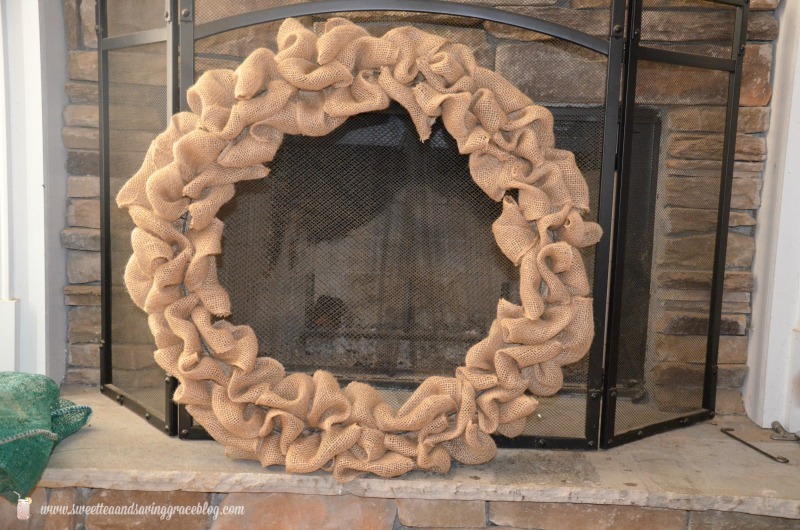 It’s so easy to make a burlap Christmas wreath, and I honestly don’t know why I didn’t make one sooner. 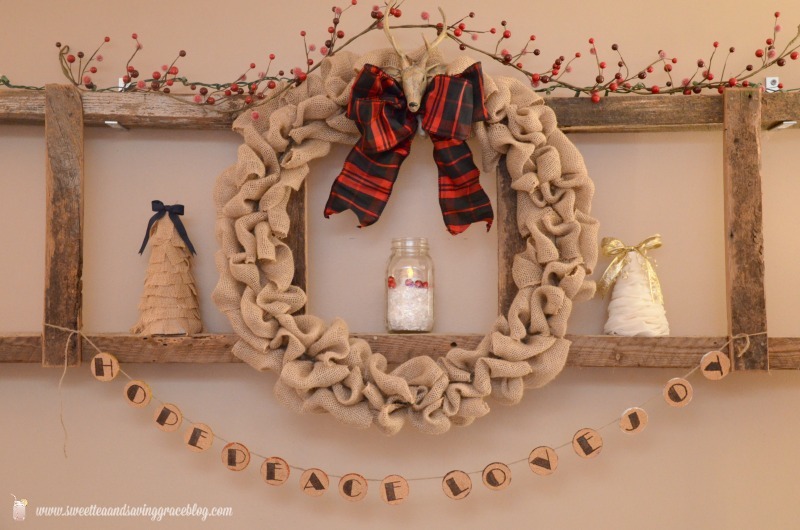 This burlap Christmas wreath can be made for DIY Christmas gifts, and you can change out the ribbon and ornamentation to use throughout the year! I think this is my most favorite piece of Christmas decor that I’ve made so far. 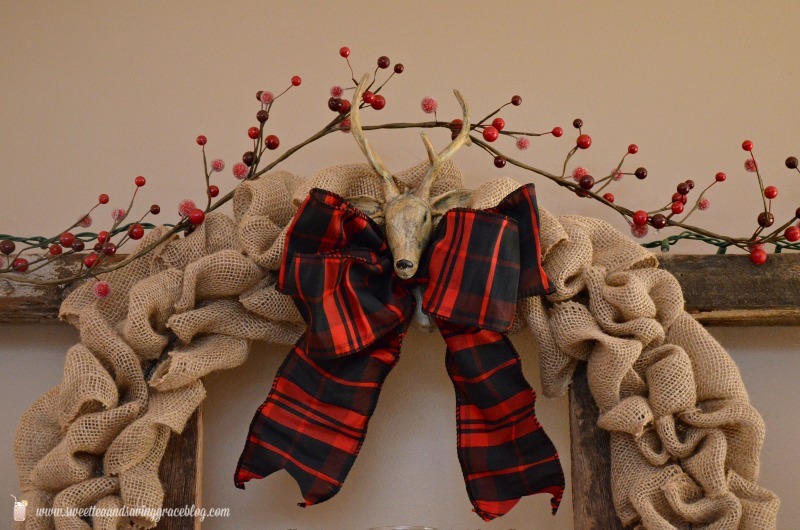 There are burlap wreath tutorials all over Pinterest, but I’ll give you a quick tutorial of how I do it, and it was super easy. *I ended up using a full 10 yard roll plus about 1/3 of a second roll for this wreath, but you may need more if you want it extra full. 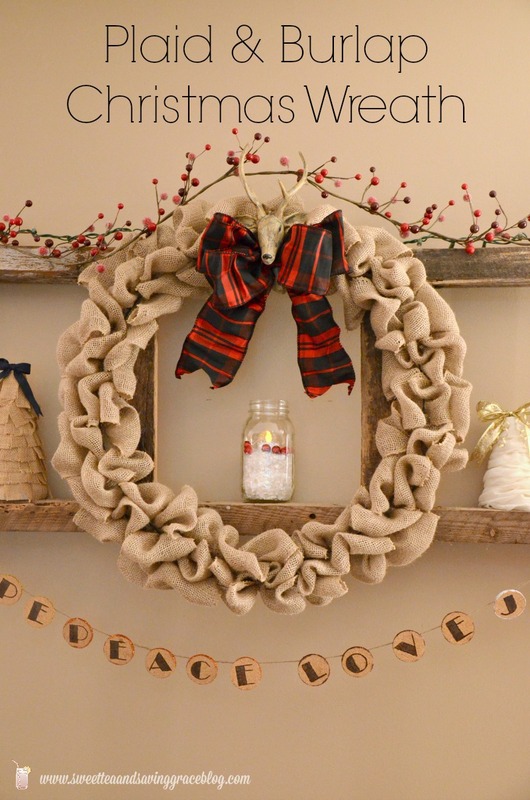 Pull a loop of burlap through the first, second and third hole in the wreath form, as shown in the image above. 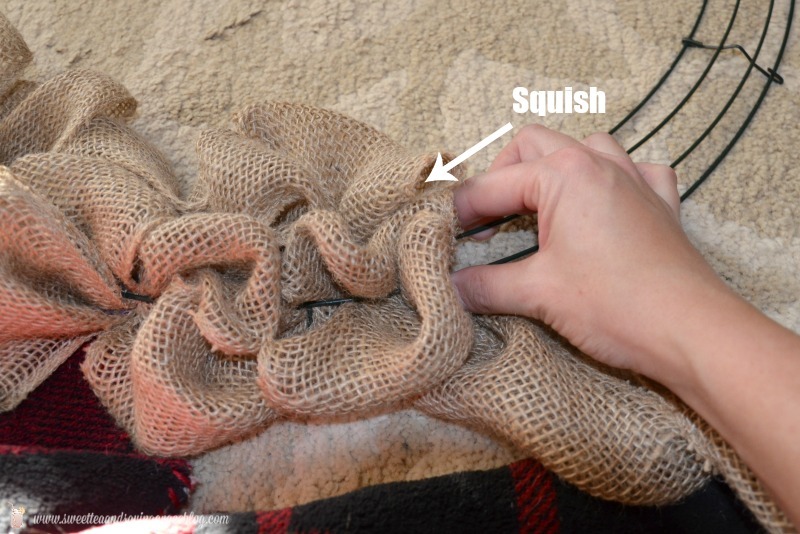 Then you do what I’ll call the “squish & twist” method. You squish the three loops to one side to make room for the next set of loops. 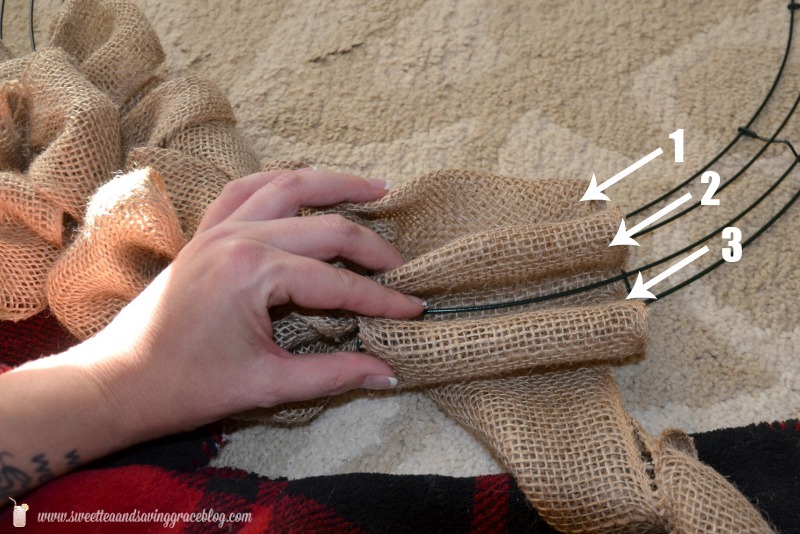 Then you flip the wreath over and twist the burlap to lock it in place. 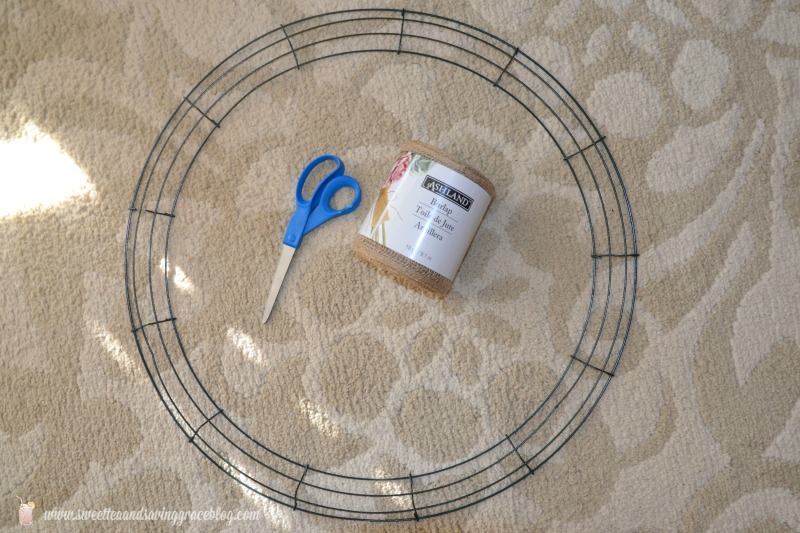 After your twist, start back at the beginning, pulling loops through the first, second, and third holes in the wreath form. Do this until your form is fully covered and as thick as you like. 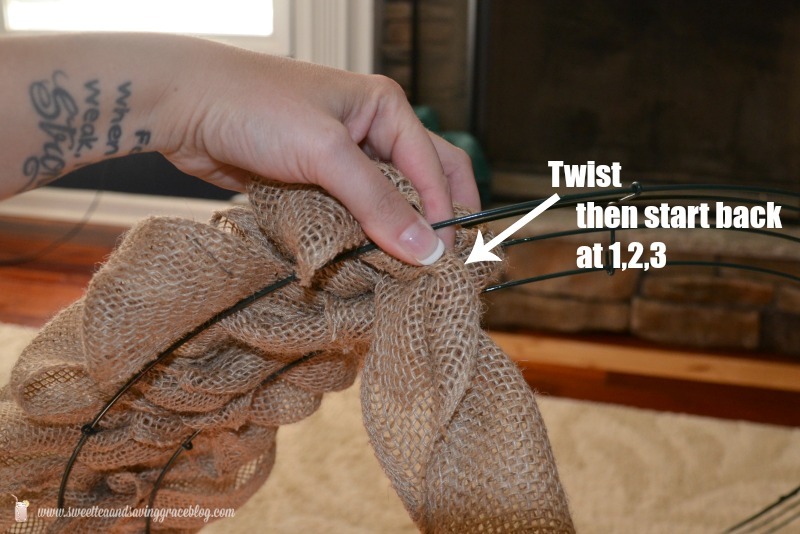 Fluff your burlap loops until the wire is no longer visible. 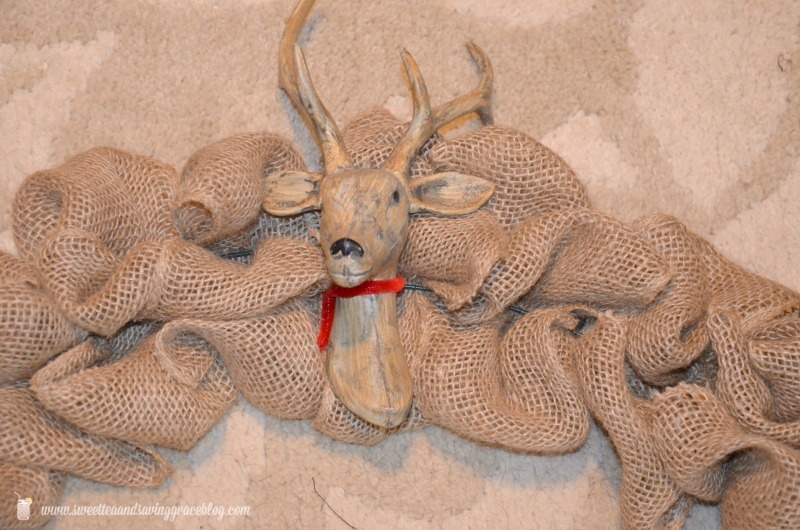 Here’s my burlap wreath. Now all that’s left is to add the ribbon. 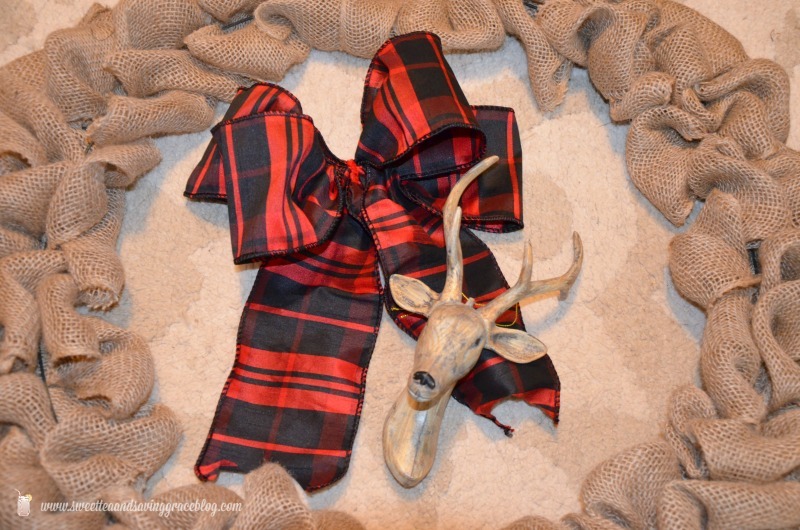 I found this gorgeous plaid ribbon, and my little deer head, at my favorite place, Woodstock Market. To make the ribbon, I just made loops in my hand then cinched the center with a pipe cleaner. I went back and added a piece of the plaid ribbon to the center to cover the pipe cleaner. I used another pipe cleaner to attach the deer head to the wire form, then did the same to attach the ribbon. Voila! I’m absolutely thrilled with the finished wreath! That plaid ribbon is just perfect for my Christmas decor this year. My barn ladder is one of my favorite things in our home, and I love dressing it up for every season. See how it all comes together in my Christmas Home Tour! 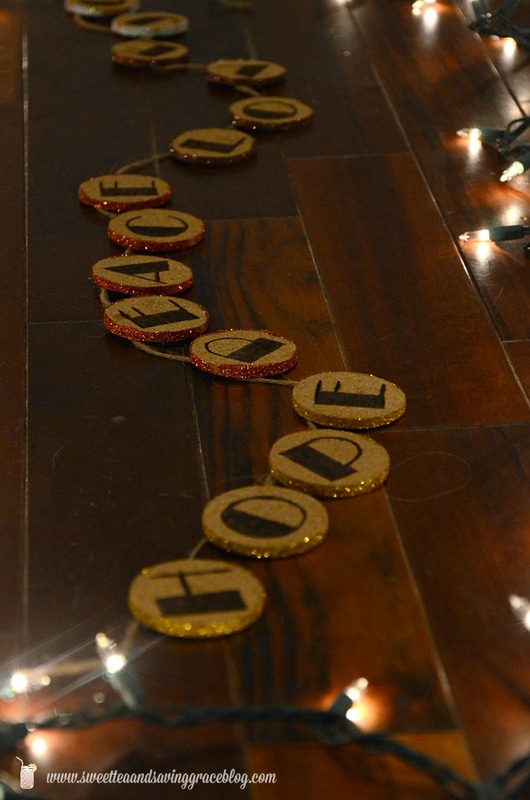 Did you decorate for Christmas this weekend? 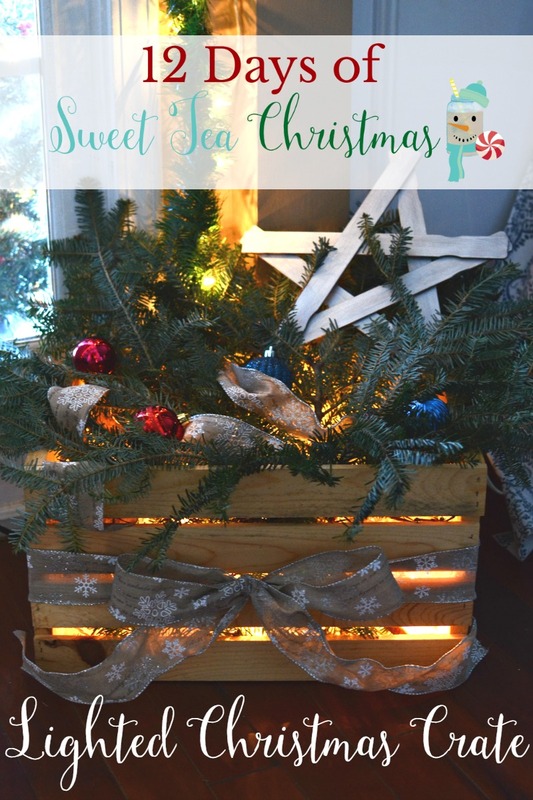 What’s your favorite Christmas decor item?